Now that the hurly-burly of Comrades and our annual race has passed us, its time for us to relax a bit. Please join us for an evening of excellence, dinner, dancing and generally good company at our Annual awards evening. 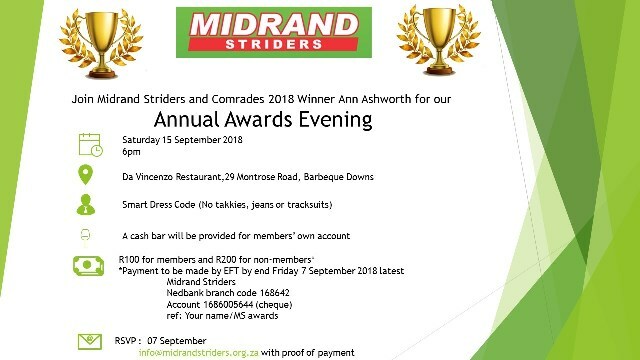 Please pay your contribution and RSVP to info@midrandstriders.org.za by 13h00 on the 07 September with your name, number of attendees and your proof of payment.